Desmond Denker – musician – producer – selector from Cologne Germany. producer of Bambam Babylon Bajasch. part of The Oliver Twist Band. 15 years of experiences in making/performing/selecting music. Desmond Denkers music should be filed under dubby Electronica. it appears to be a connecting link between dance and listening music. complex rhythm and dubby basswork backed by field recordings and soundscapes. music for a dancing brain and a thinking body. bassdriven music + postrocking drums + 1,2,3,4 + clicks, cuts & noise . 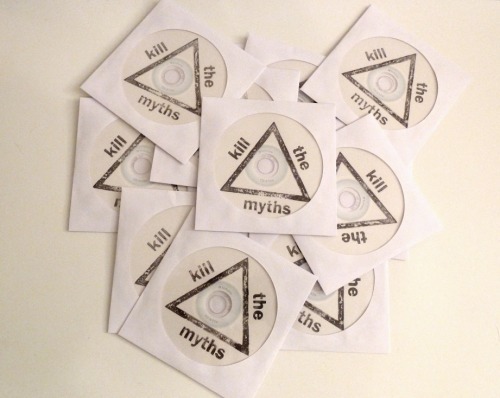 Die ersten 30 zahlenden Gäste erhalten die neue hand-gestempelte KILL THE MYTHS mix-cd!